the small but strong mint made with real peppermint. 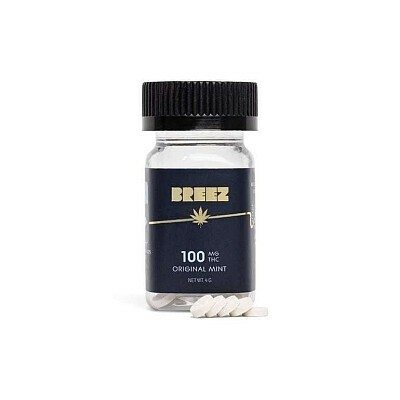 These discreet breath freshners are infused with 5mg THC from top-shelf medical cannabis oil, and all with zero calories. Breez Mints pocket-sized metal tin travels anywhere so you can get a perfect dose anytime, anyplace. Each package contains 50 mints.